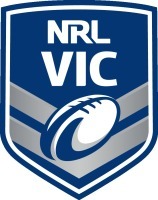 NRL Victoria are currently seeking applications for 2019 Coaching & Support staff positions with the Victoria Thunderbolts and NRL Victoria representative teams. The Victoria Thunderbolts U20's and U18's teams compete in the Queensland Rugby League U20's Hastings Deering Colts and U18's Mal Meninga Cup competitions. The U18's Thunderbolts program involves a commitment from November 2018 to May 2019. The U20's Thunderbolts program involves a commitment from November 2018 to September 2019. Positions with these squads are volunteer with a small honorarium offered to assist with travel costs associated with each program. NRL Victoria's U16's Development Squad includes 2 program blocks throughout 2018/2019 which leads to a tour of Sydney in July, 2019. All 3 Squads will have Open and Invite trials in October, 2018. The attached application form must be supported by a one (1) page resume which outlines your suitability for the position/s applied for.